Saturday October 31st and not a ghost, zombie or vampire in sight. No one cares its Halloween, me included, and why? 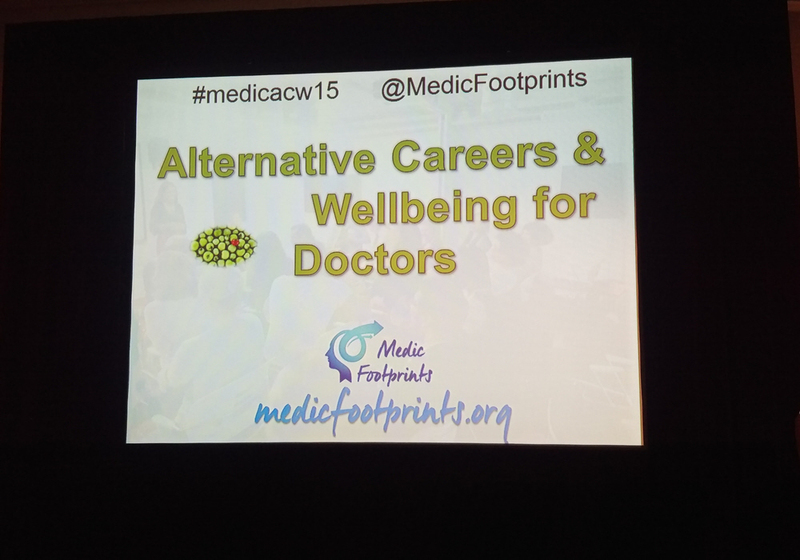 Because today is Alternative Careers and Wellbeing for Doctors day! A dodgy curry the night before was trying to keep me trapped in the house, but by the power of Grayskull I had the power to get to the Grand Connaught Rooms, Holbon. 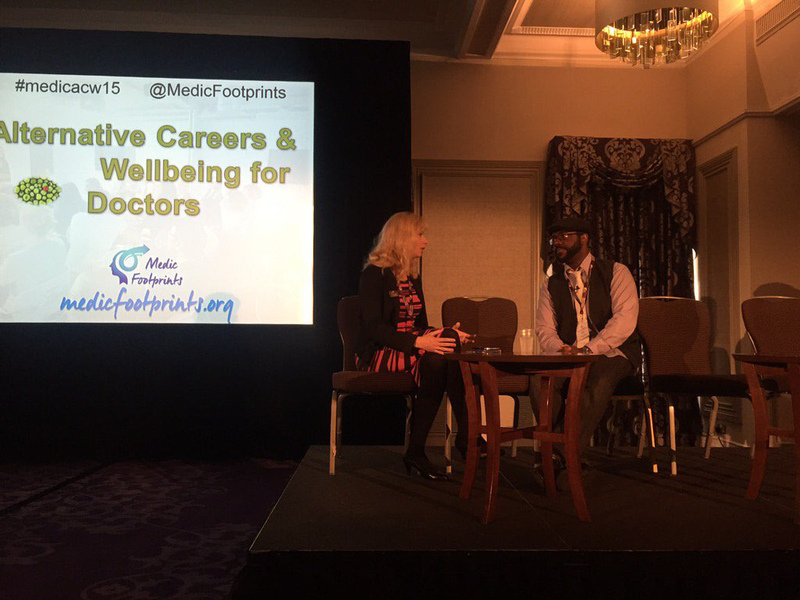 Hosted by Medics Footprints, the events primary aim was to provide “a selection of unique and eclectic career options beyond the conventional, AND a rejuvenating range of health and wellbeing initiatives and career coaching tailored specifically to doctors.” With around 380 medical students and doctors, practicing or not, ACW 2015 was a raging success. I collected my ID badge and dropped off my coat and Jembe at the cloakroom, then went off to see a few stands in the exhibition floor. I was very warmly welcomed by Dr Avi Mehra who told me about Doctorpreneurs, which is a “ global community for doctors, medical students and other professionals interested in improving healthcare through innovation and entrepreneurs.” Avi himself is very interested in healthcare tech, hence his role as Global Clinical IT Manager for Digital Health at Bupa. I was very inspired to see a fellow medic who has a successful job outside of medicine even though he worked as a doctor for just 3 years. I’ll make sure to have a cup of tea with him very soon. 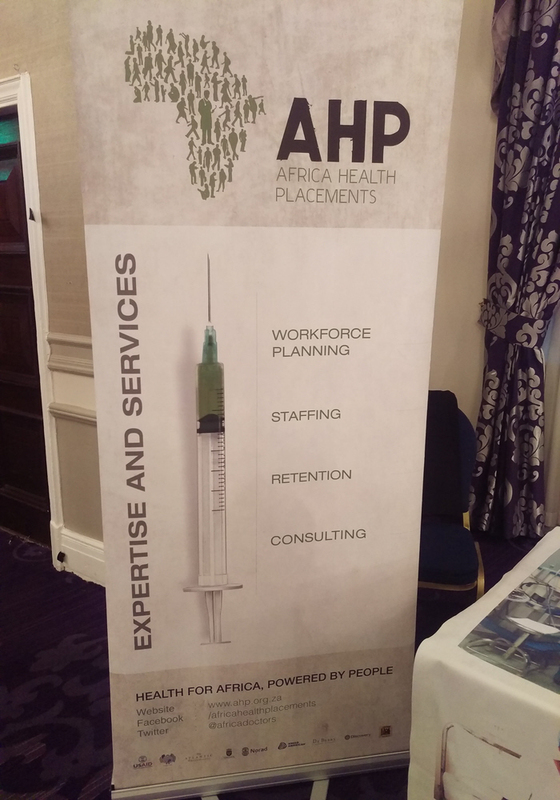 Africa Health Placements (AHP) was the next stand to catch my eye. The lady at the stand explained that due to funding cuts, the charity primarily worked in South Africa but was keen to once again place doctors across other parts of Africa. She gave a moving story of the impact that the doctors had on the patients in rural areas who would often have to walk for a day and stay overnight just to see a doctor. As I was walking past observing more stands (Forever Living Products, Army doctors, Management Consultancy, to name but a few), I got a call from Dr Evgenia Galinskaya, who wanted to meet briefly before we kick started the event. So up I went to the main conference room where I got mic’d up and watched as the room filled with excitable students and doctors. At 10am on the dot, we were welcomed by none other than Medics Footprints’ Medical Director, Dr Abeyna Jones! 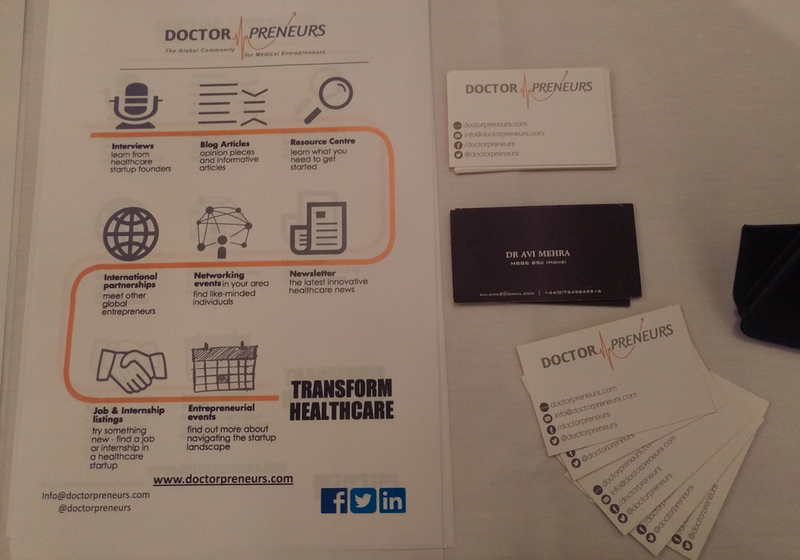 She highlighted what we should get out of the event, such as the opportunity to meet a variety of people who have transitioned out of medicine to very successful careers. Evgenia then gave a heartfelt presentation talking about her own experience on leaving Dermatology and becoming a career coach for Doctors. She gave some great points, explaining that searching for “Alternative careers for Doctors” in to Google would prevent you from finding jobs that matches your skillset rather than academic experience. I was then interviewed by Evegenia for about 10mins where I explained how I finally decided to leave medicine and the journey I had to take to get to where I am now. I highlighted that it’s very normal to feel guilty, but you shouldn’t stay feeling that way. I asked the audience “How many of you studied Geography at GCSE level?”. Half the room, about 150 people, put their hand up. “So why aren’t any of you weathermen! ?” I replied. The audience naturally laughed since no one would think you were crazy for not using your geography qualification for your future career, but you would have spent 5 years studying Geography too. I explained that everything that one has gone through in life up to this very moment has made them who they are and is preparing for their future. You don’t have to work as a doctor to put all that you have learned whilst you were going to medical school. You simply have to do what makes you happiest. You can’t go wrong when you do what makes you happiest. I had the opportunity to speak to a number of delegates giving some undercover coaching sessions. One doctor explained an amazing idea she had to get Type 1 Diabetics to use dance as a constructive form of exercise to improve their health outcomes. Another explained her desire to write her novel now that she has decided to leave medicine. She has even mentioned me in her own blog about this same event! A third medic explained how they need to find a way to actually be themselves, and the last time they were was when they were teaching in primary schools whilst at medical school. I’m glad I could support them as a mentor, and as always, welcome anyone who wants to get in touch. 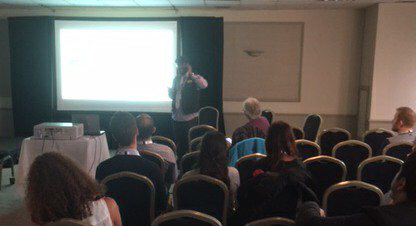 My presentation on “The Wonderful World of Healthcare UX” was for a smaller audience, maybe around 50 people. It helped the delegates understand that their skills as a doctor is very transferable to the wonderful world of healthcare UX since the concept of user centered design is the same as patient centered care. In both mindsets, you want to do what is best for the end user of the product or service. I do that with my sharpie pen, note pad and laptop instead of a Montblanc pen, stethoscope, and a cannula. 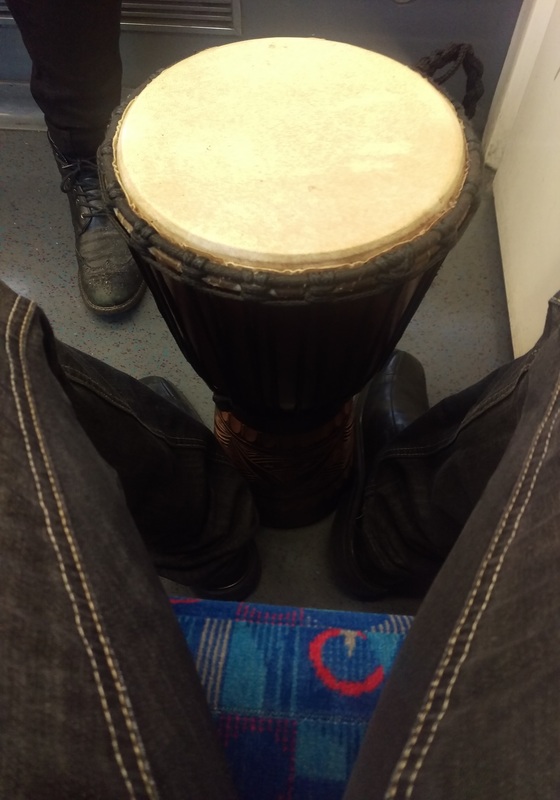 The night ended with a bit of drumming on my Jembe and then some food with the Medics Footprints crew. Make sure you get your ticket for the next event. I can’t rate it highly enough.